MODERATOR: Good afternoon, everyone. 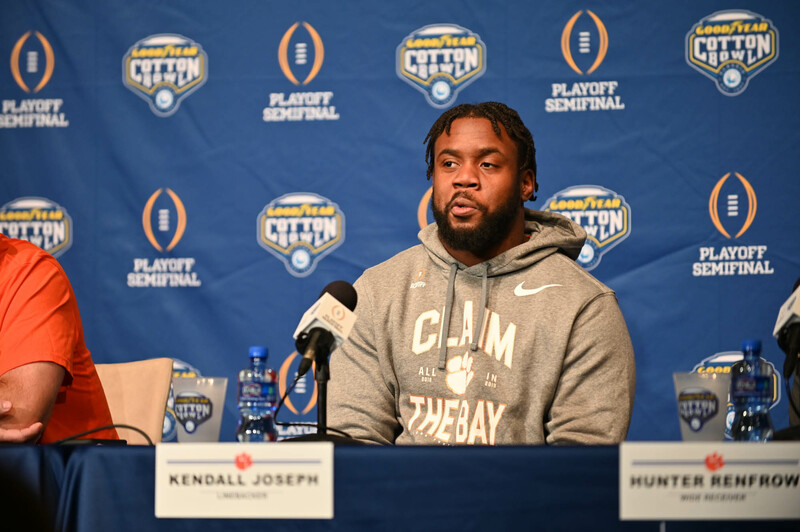 Welcome to the College Football Playoff Semifinal at the Goodyear Cotton Bowl Classic. 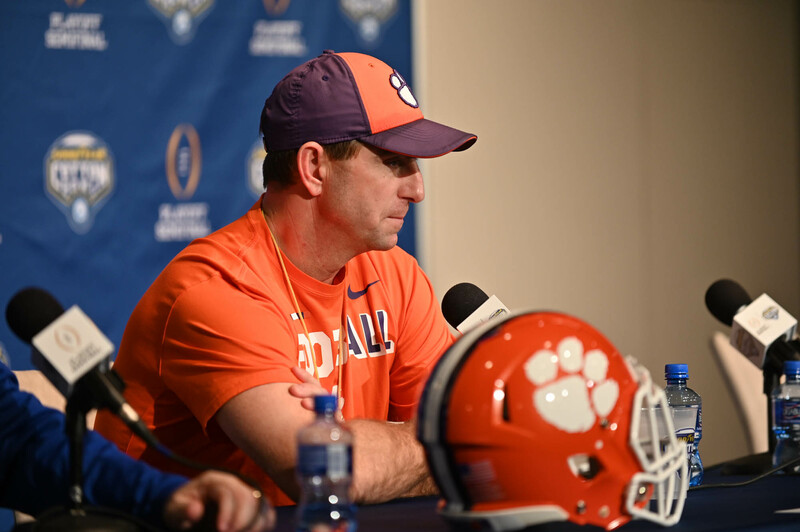 Coach, the Tigers arrived last night. We noticed a lot of your student-athletes are wearing cowboy hats. Looks like they’re getting into that spirit of Texas. 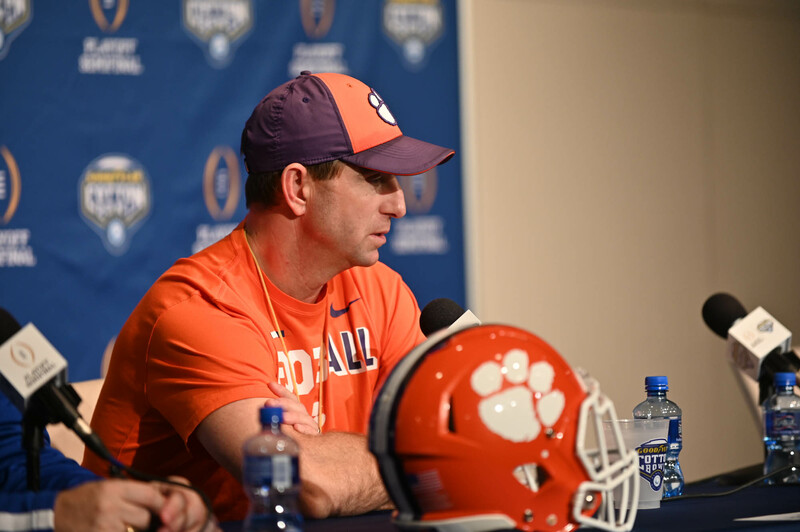 COACH SWINNEY: We’re excited to be here. We really are. It was a long day yesterday. 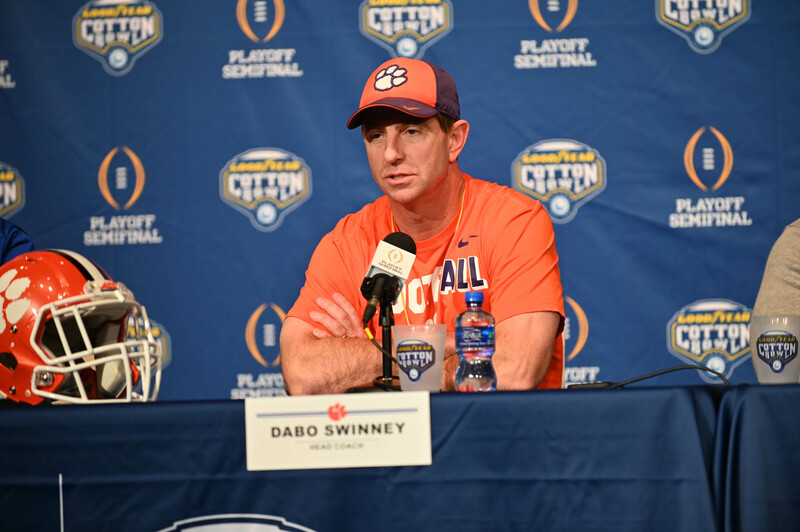 But we actually got everybody back, had a little practice at Clemson, some meetings. And then had a great trip out. And guys were in great spirits. I think all the specialists wore their Christmas suits. And we had several guys wear their hats. And it was pretty fitting because, last night, they were able to — I think all the staff ended up getting boots. So we’re happy to be here. It’s an amazing hotel that we’re staying at. And just all the Cotton Bowl folks. This is a bowl I’ve always wanted to be a part of for a long time. 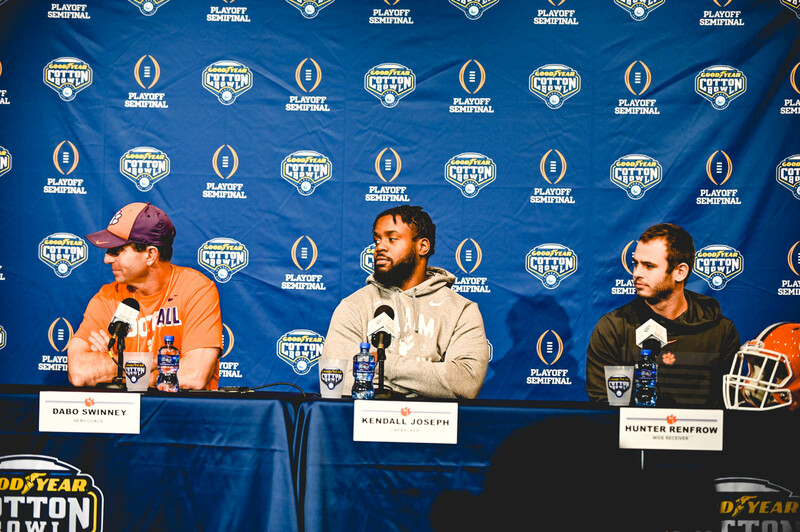 So to actually have the opportunity to experience it firsthand and for our players to get such a wonderful experience — these guys have been in Orange Bowls, Fiesta Bowls, Sugar Bowls, national championships. They’ve had some amazing experiences. 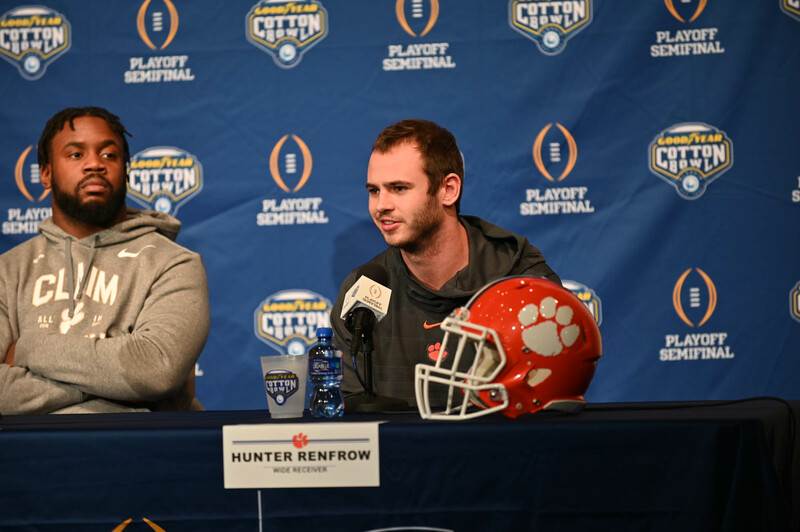 And these two, in particular, because they’re both fifth-year seniors, were also in the Russell Athletic Bowl. So they’ve had some great experiences, but this going to be amazing. 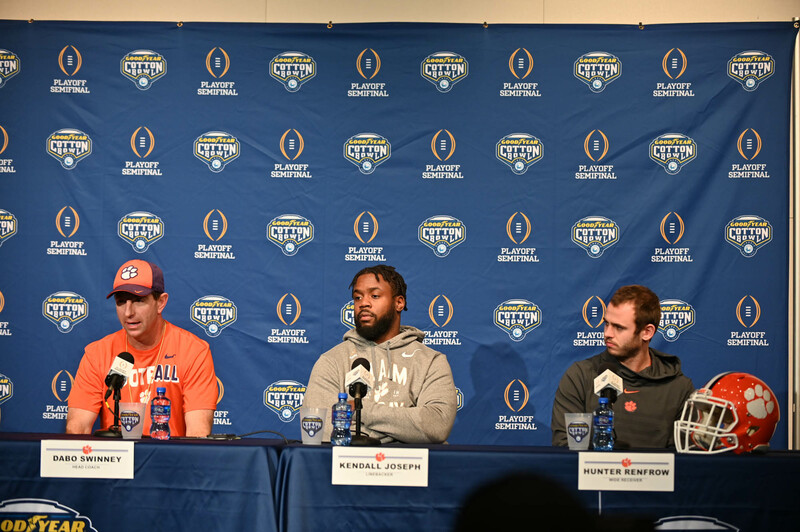 I mean, just this press conference. Usually, we show up to practice and we just gather up outside a fence or something, but everything is bigger in Texas, I guess. So here we go. We’re excited. I can’t wait to get out on the field and check this place out. 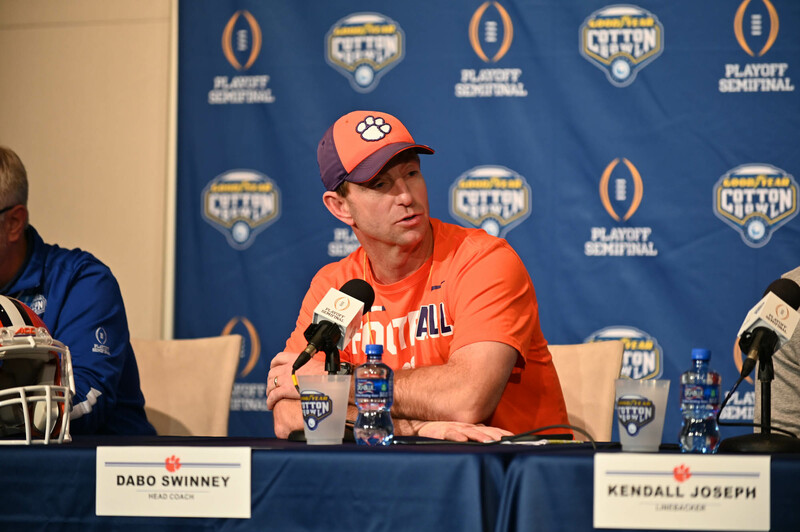 MODERATOR: Coach, if you would, please introduce your two student-athletes and tell us a little bit about them. 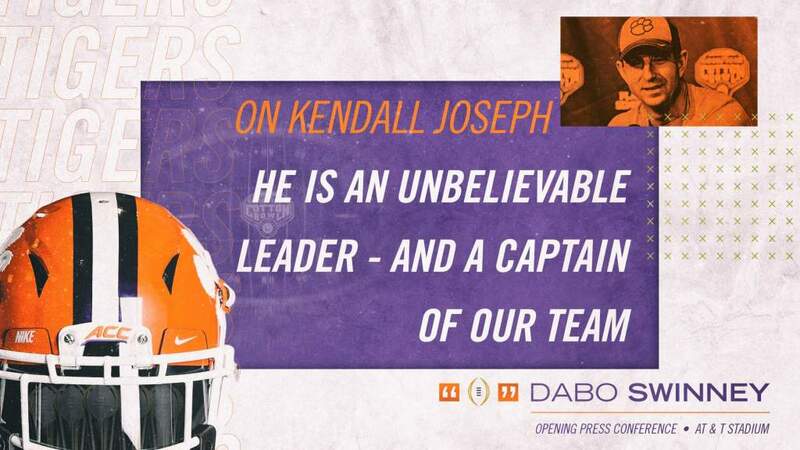 COACH SWINNEY: We’ve got Kendall Joseph. This is our starting middle linebacker, number 34. He’s an unbelievable leader for us. He’s a captain of our football team. 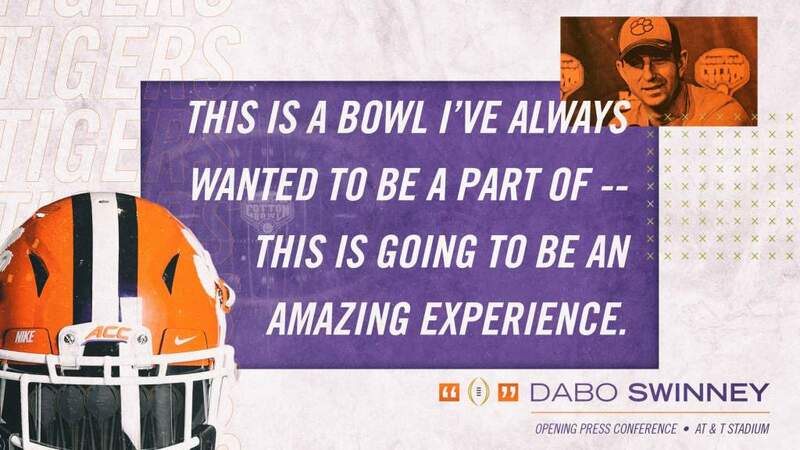 He’s a fifth-year senior, and has been a three-year starter, a very, very talented and dynamic young man. He’s a graduate. Hopefully, he’ll have opportunity to play some ball in the NFL, but he’s got a really, really nice job waiting on him if he chooses to do that. He’s from Belton, BHP High School, in South Carolina. And, again, just a great leader and has been a very productive player. 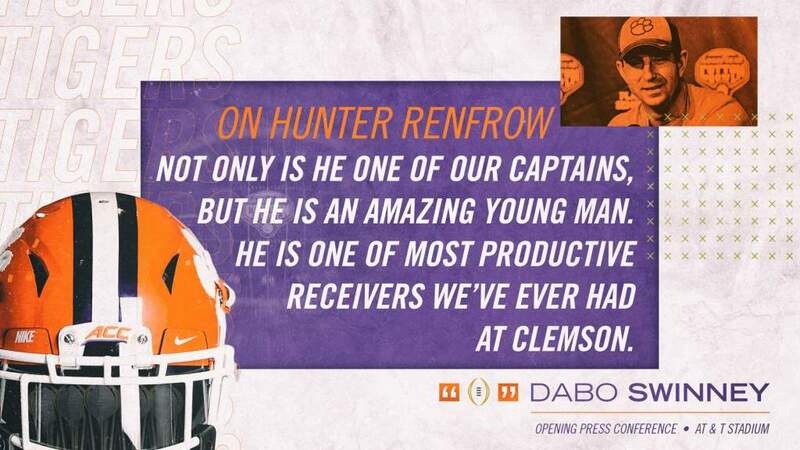 And then Hunter Renfrow — yep, that’s Hunter Renfrow, for those of you who don’t know him. He’s a fifth-year receiver as well. He’s from down in Myrtle Beach, Socastee area, in South Carolina. Same thing, a graduate. He’s a captain, just an amazing young man, both from great families, and one of the most productive receivers we’ve ever had at Clemson. 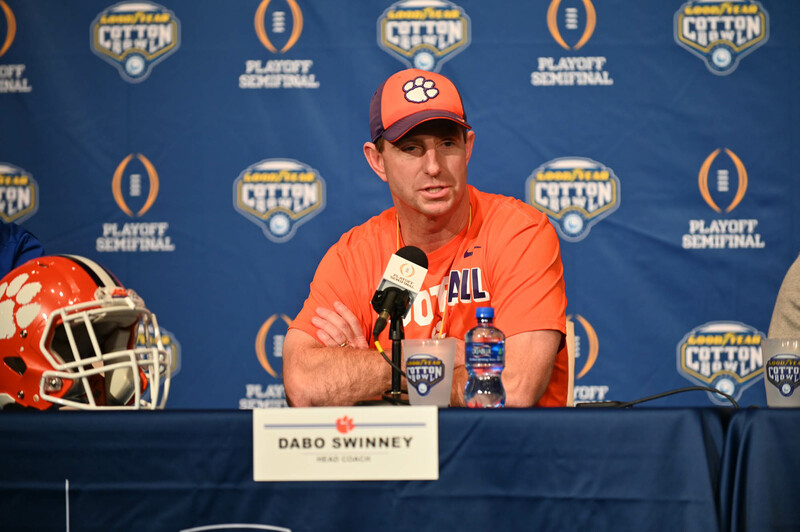 He’s got the most starts ever for a receiver, the most catches consecutively in the history of Clemson, just a very productive football player. And, again, two great leaders and representatives of our program. Q. 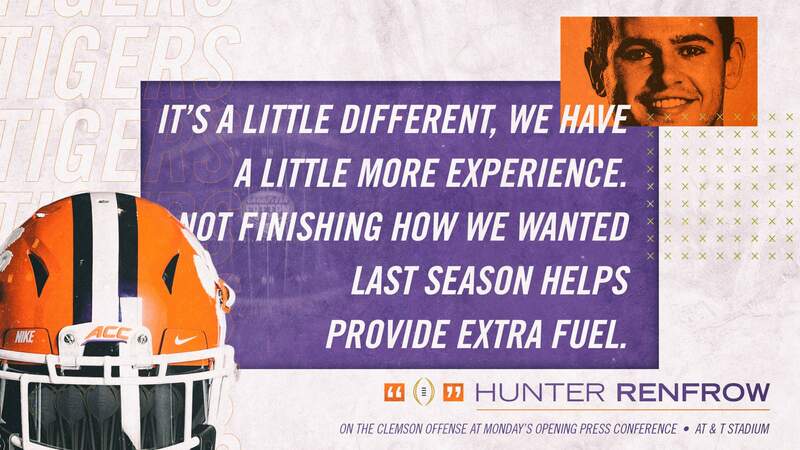 Hunter, how much more dynamic do you think this offense is this year compared to a year ago when you guys were entered in the semifinal? 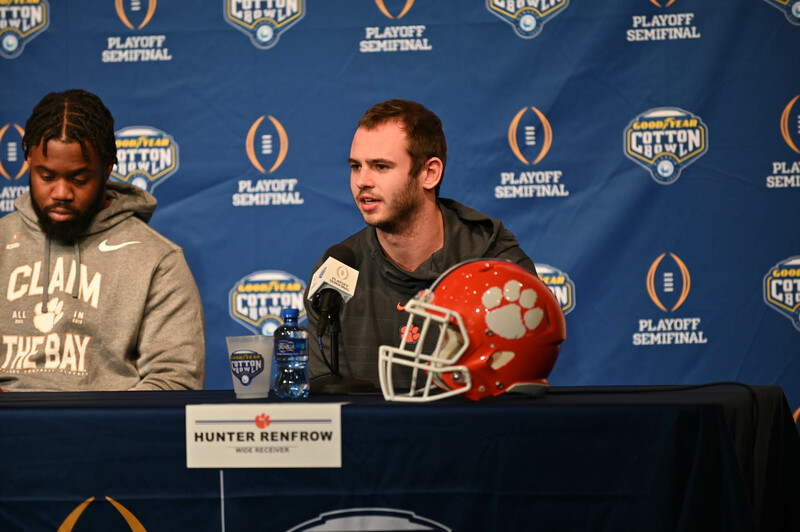 WR HUNTER RENFROW: Yeah, just a little different, a little more experience, I would say. We still have Justyn [Ross] outside that’s a freshman, and a few more freshmen pieces. 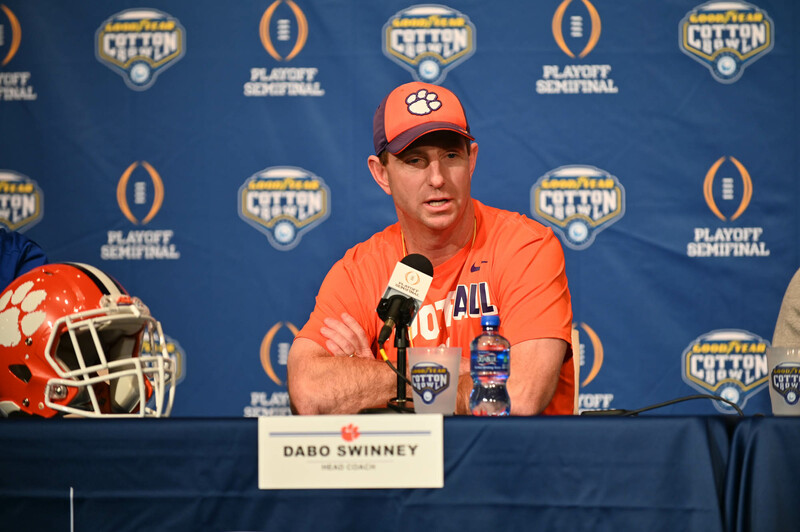 But I would say, just the experience we have and just being on that team last year and not finishing the way we wanted to, I think it’s definitely going to help us as we finish, hopefully well, this year. Q. 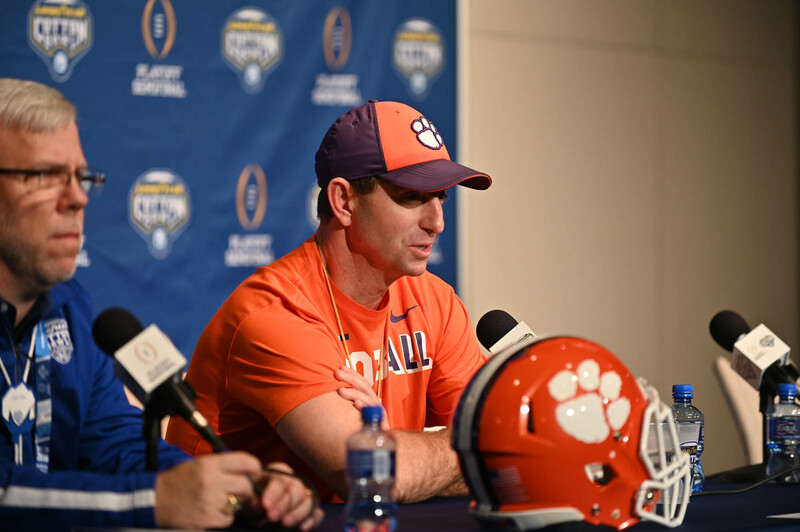 What has Trevor [Lawrence] brought to the offense as a freshman? And does he play like a freshman now, or could you describe him to us? 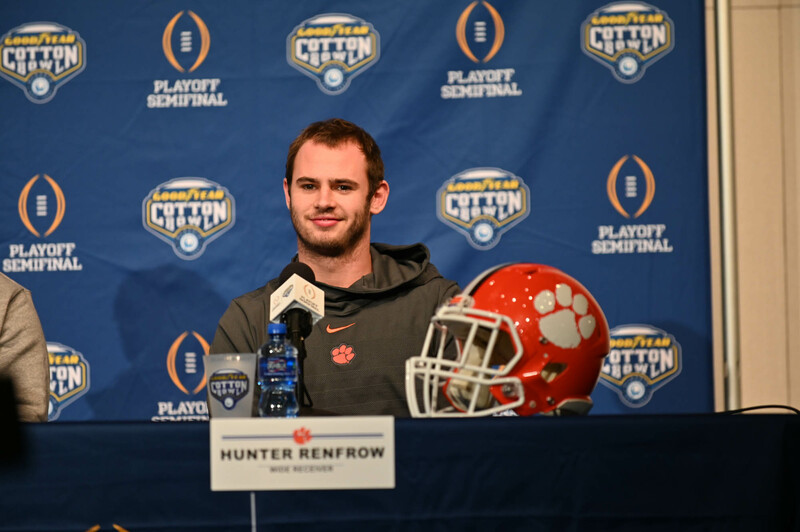 WR HUNTER RENFROW: I mean, Trevor has had 13 games under his belt. And so he’s a freshman, I guess, still, but he plays like a sophomore. He’s had a whole year under his belt. And he’s really just gotten better every week. And that’s the thing I would say about Trevor is, every week, he’s come and he’s gotten better. And just seeing his preparation from week to week. I got to spend some time with him in the quarterback room. 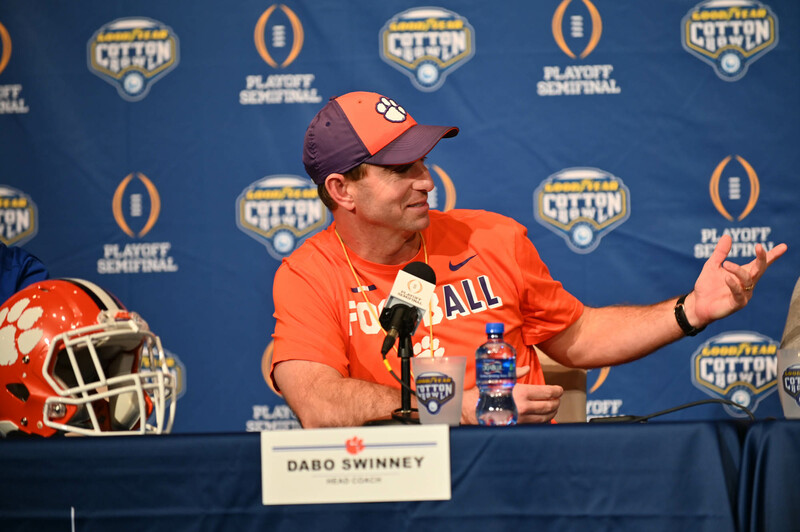 And so just seeing from the third week to the fourth week to the fifth week, just how he slowed everything down, how he was able to process everything and really just command the attention of the team.